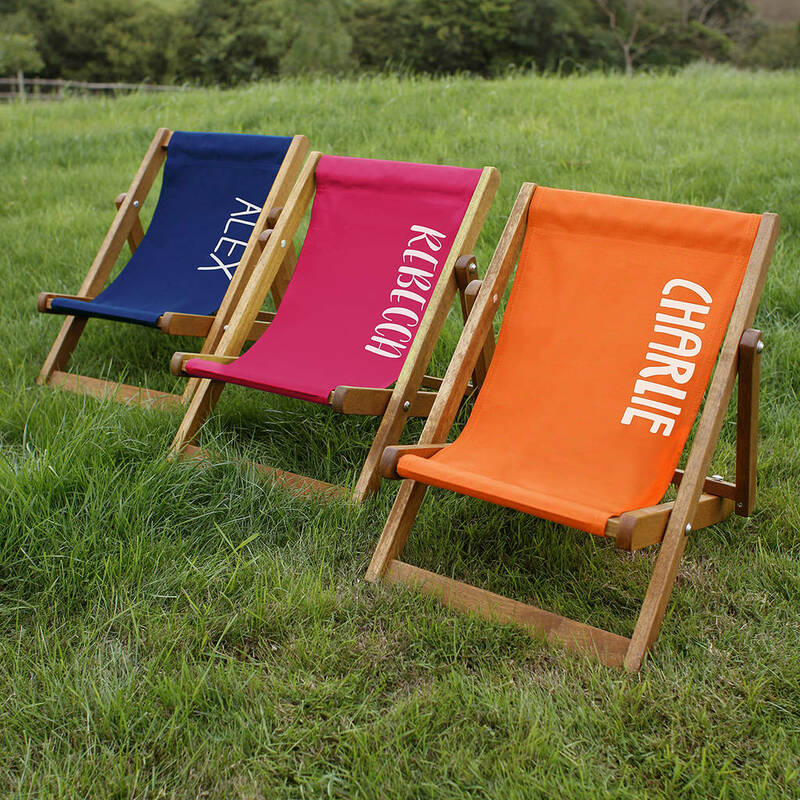 These Personalised Deck Chairs have to be one of the cutest additions to our range. 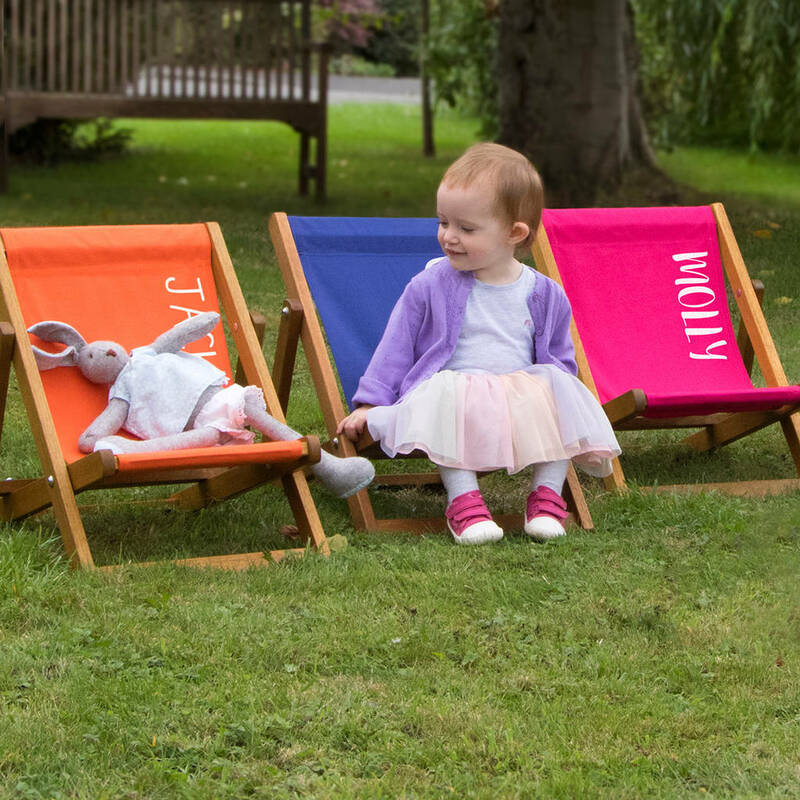 They make a lovely gift to a child, but don't feel limited to outdoor use, these deckchairs look lovely in the corner of a bedroom or playroom too. 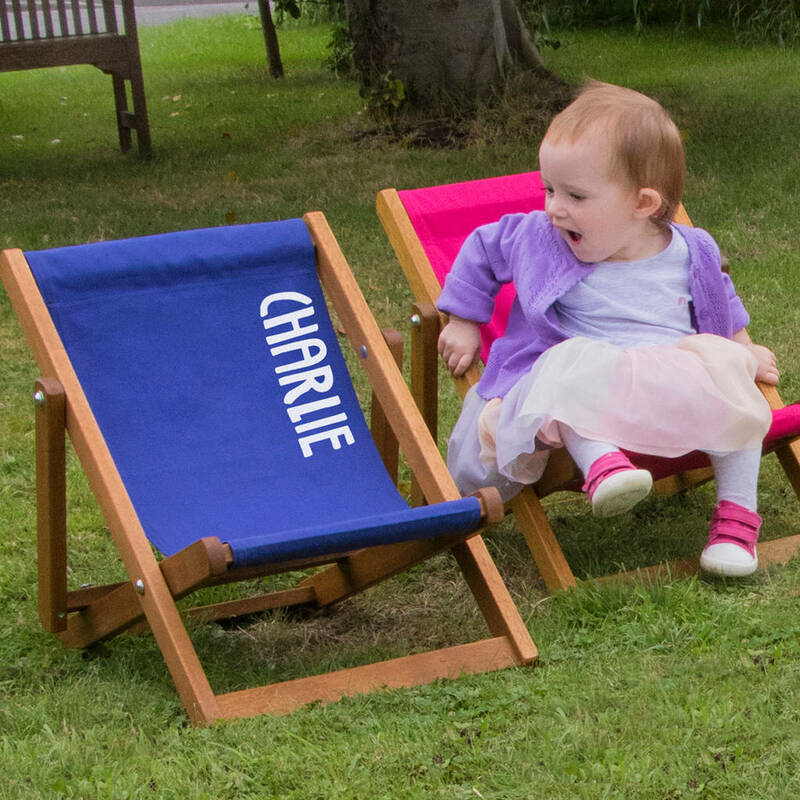 Why not get a matching set and buy one for Mummy and Daddy too!? The timber frames are made with a sustainable and durable hardwood and are then finished with teak oil. We chose these frames as they are noticeably more solid than those spindly, wibbly wobbly cheaper ones. Also the timber has been sustainably sourced and has PEFC accreditation. There are 5 contemporary sling colours to choose from: orange, black, blue, red & pink. 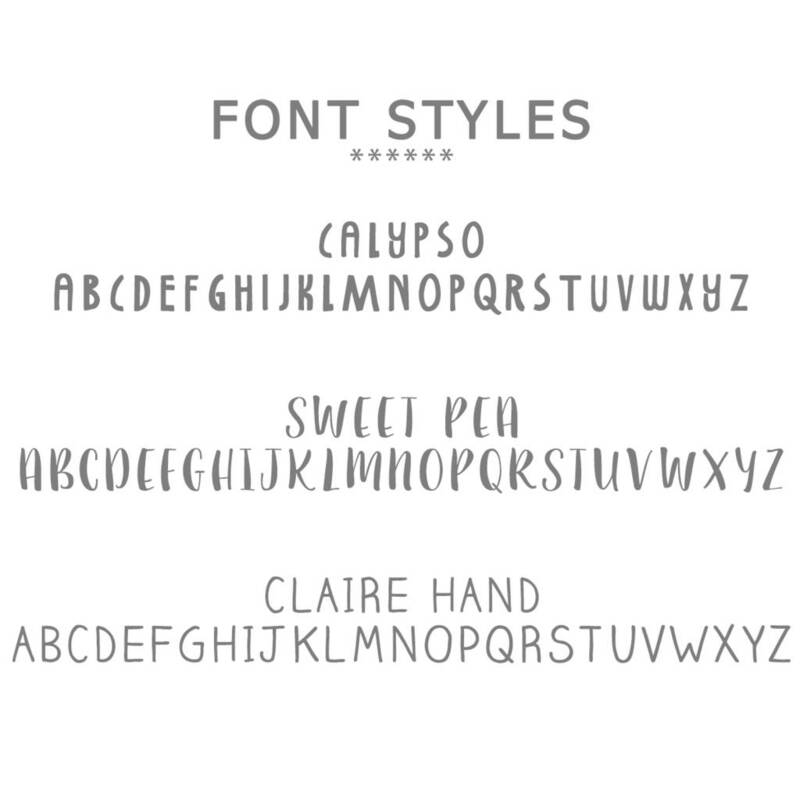 Your personalisation is done in white down the side of the sling in a choice of 3 fun fonts, which are all printed in capitals. There is a limit of 15 letters. Please note that personalisation is not compulsory so do please let us know if you would rather not have a name or word printed. 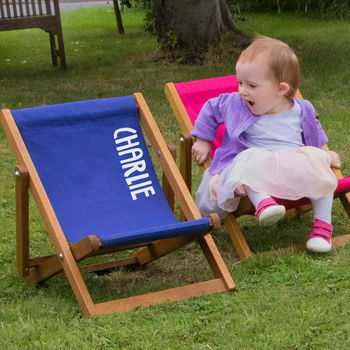 The Child's Personalised Deck Chair has a small safety bolt to insert that prevents the chair collapsing. Timber frame finished with a teak oil. Fabric is made from 100% cotton. 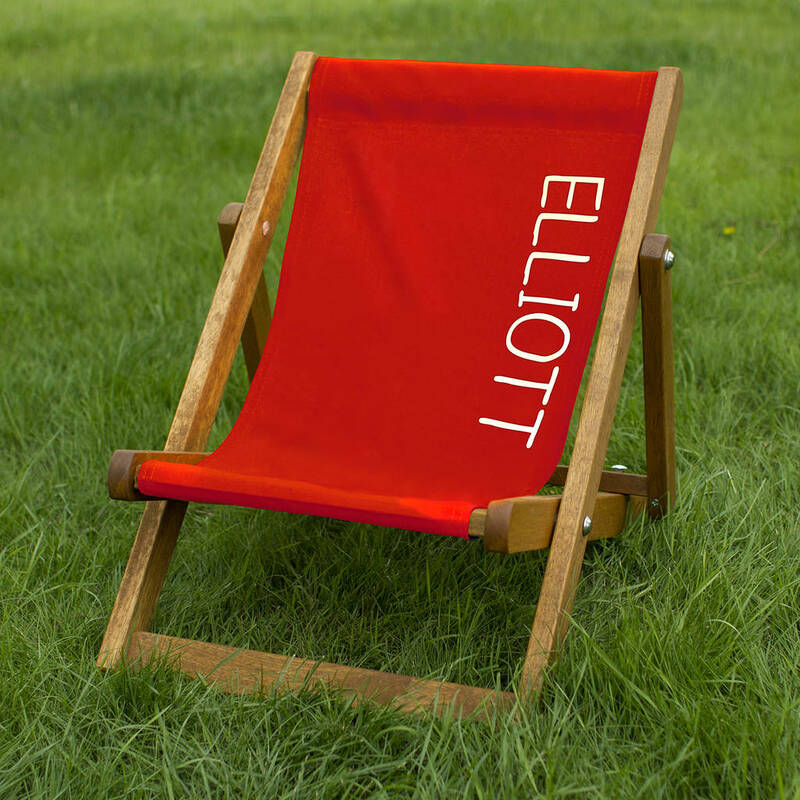 These deckchairs are suitable for children up to the age of 4 years.